Is your company looking for advice on how to grow from the biggest software company in the world (as per Forbes' Global 2000 index)? If so, now's your chance. Microsoft has pitched its investment tent in London's Tech City and is inviting technology founders and entrepreneurs to join its Ventures Accelerator program. The 12-week programme will provide access to investors and mentors within the tech community along with the software giant's network of contacts in the sector. Participants will receive 1:1 mentoring, technical assistance and advice on moving into technology areas such as mobile and cloud. In a company blog post, Microsoft writes that startups will present their ideas to a panel of venture capitalists, investors and mentors and could receive funding or a licencing deal. Gaming startups, it says, could benefit from technical expertise and knowledge, with the opportunity to publish their games to the company's Xbox One console. 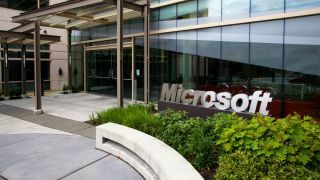 Microsoft will not be taking equity from the companies involved in the programme. It will initially be based at business hub Central Working in Shoreditch near 'Silicon Roundabout', where startups will be mentored by businesses such as London Business School, Barclays, Pennington Solicitors and KPMG, among others. A spokesperson from London & Partners, the capital's official promotional organisation that's supporting the programme, told TRPro that the collaborative program will help businesses with anything from formalising business ideas and preparing pitches to potential investors. The programme has helped 119 companies worldwide to date, with 85% having received funding immediately or within six months. It is the sixth of 10 to be rolled out following ones set up in Bangalore, Beijing, Paris, Seattle and Tel Aviv.